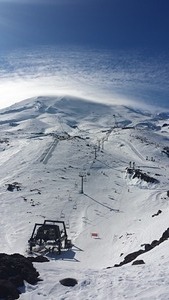 Is it snowing in Turoa ?Merci! 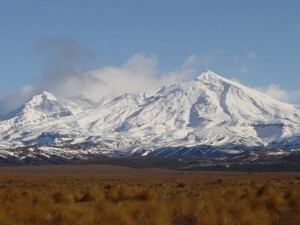 Rising head and shoulders above the central North Island, Turoa boasts the largest vertical drop in Australasia; no wonder they call Turoa "The Giant". 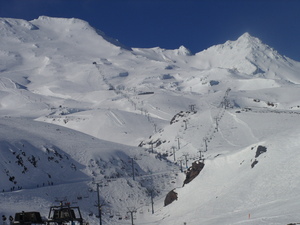 The south facing slope can get dry powder during the season, making Turoa a perfect alpine playground for skiers and snowboarders of all abilities. After a day of challenging yourself on some of the runs, finding the secret powder stashes, and going big in the natural half pipe, Turoa's visitors and locals head down the mountain to Ohakune to dine, relax and re-live the day's adventures. 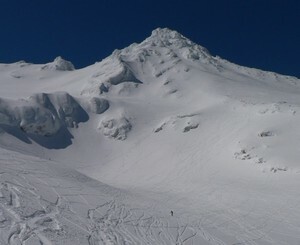 The best mountain in the country on a good day in my opinion! 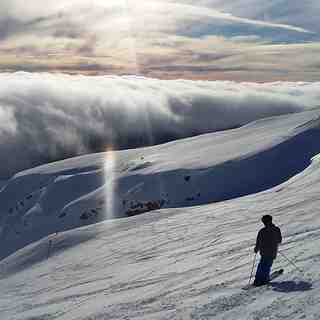 Turoa has everything, from great groomed runs to powder bowls, a decent park, steeps, drops, chutes galore. Lifts can get pretty busy on the weekends if the weather is good. Score a midweek powder day and you will be riding fresh lines all day! It is really exposed so can quite often have high winds and be closed. This also means it gets some epic dumps. Typical for the off-piste to be completely frozen so make sure you sharpen your edges! Usual expensive mountain prices for food but you can just take your own and leave a bag outside the cafe :) Get up there early to get a good car park. People are quick to criticise for many reasons but RAL is a non-profit organisation so any profits get put back in to the resort. There can be delays opening the lifts due to de-icing. 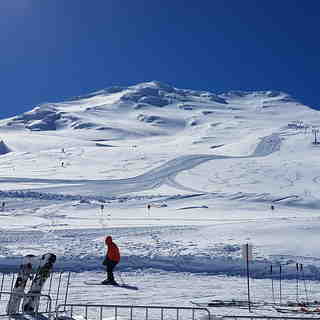 Ohakune is a great little ski town with decent bars, restaurants and cafes. Check out TBC for all of your gear needs. Make sure you go to the Choclate Eclair Shop. Best ever! Also try the afghans and the steak, mince and cheese pies! This season has been the best I can remember with every weekend being bluebird and lots of them being powder days! This season a major avalanche took out one of the towers and broke the cable of the top main lift but they have done some excellent work pushing snow around and making new trails. I have been coming here for over 30 years and have snowboarded all around the world and have had some of the best days of my life here!